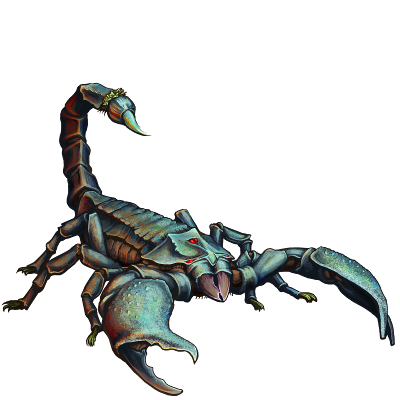 One of the most potent known venoms is that of the monstrous scorpions of the frontier. Fetching a high price by assassins and apothecaries alike, this venom is often seen as a quick way to make coin, alluring bold hunters to venture into the wilderness to harvest it. However, even in a juvenile state, these scorpions can deliver deadly stings and are faster than most men. What's worse is that they can live in rather large nests, and angering a seemingly lone scorpion can lead to swarms of them crawling up from the ground — quickly turning the hunter into the hunted. Special Notes: The victims of this unit’s poison will continually take damage until they can be cured in town or by a unit which cures. Last updated on Sat Apr 20 01:52:24 2019.